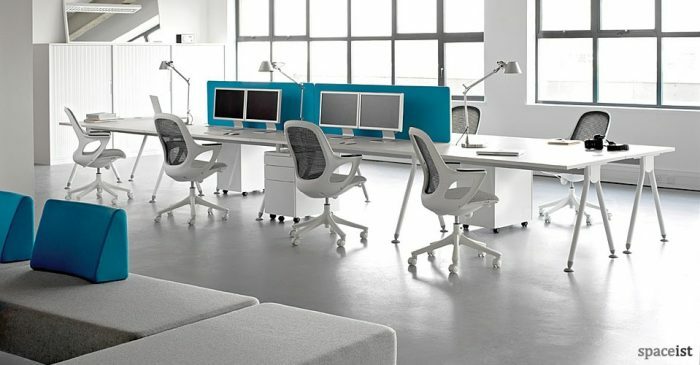 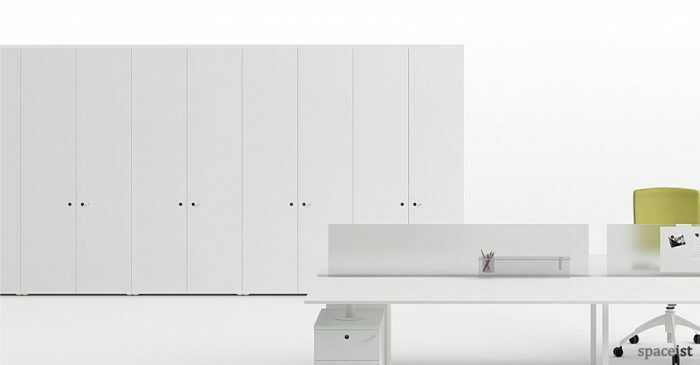 Categories: Office desks, Office desks, Office ranges, School bench desks, White office desks, Bench desks, Office Desks & Storage, XL desk range. 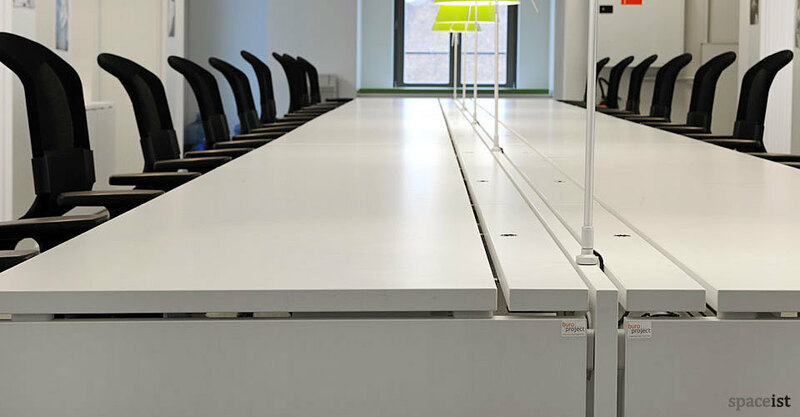 XL long white bench desk to seat 18 people or more. 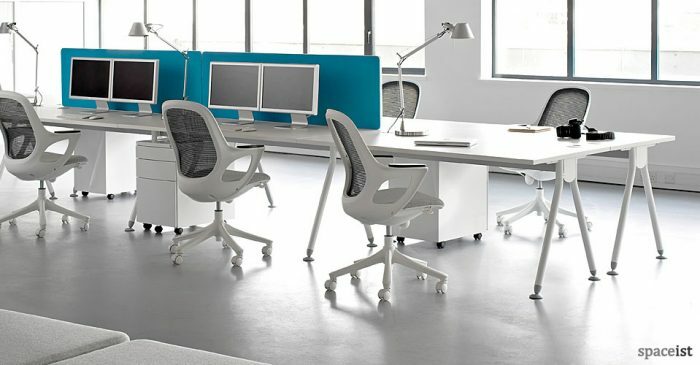 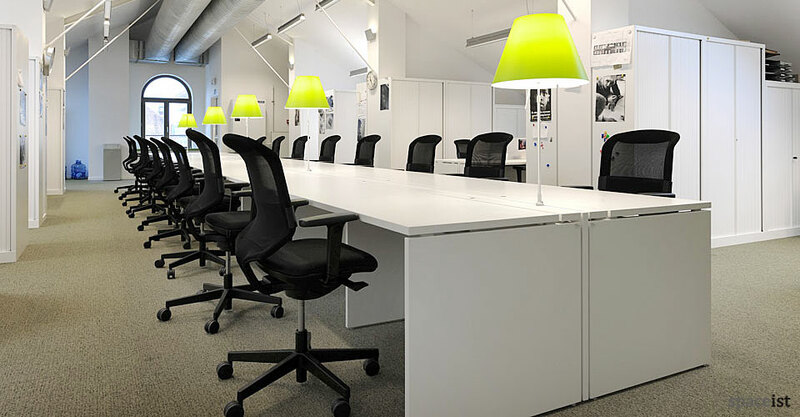 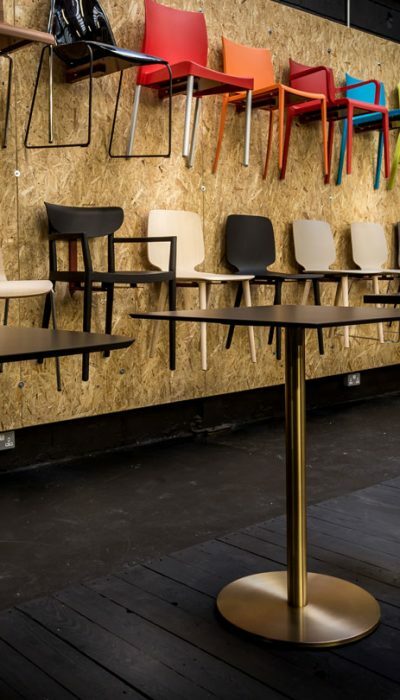 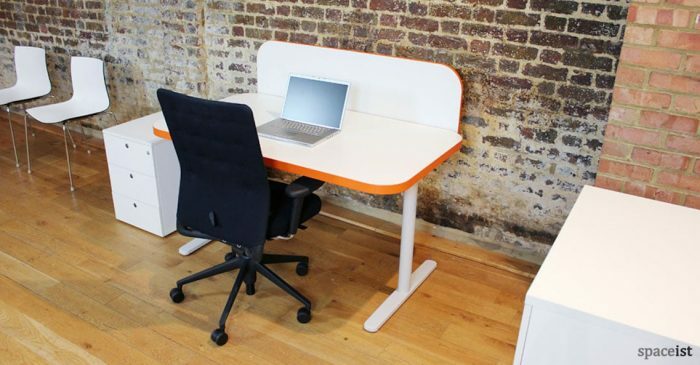 Flexible desking system which is available in many different lengths and 2 different depths. 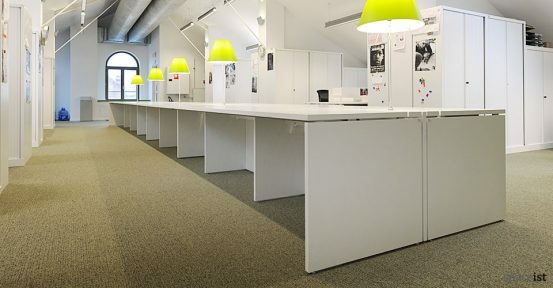 Desk tops sizes are 120 (listed below), 140, 160 and 180cm. 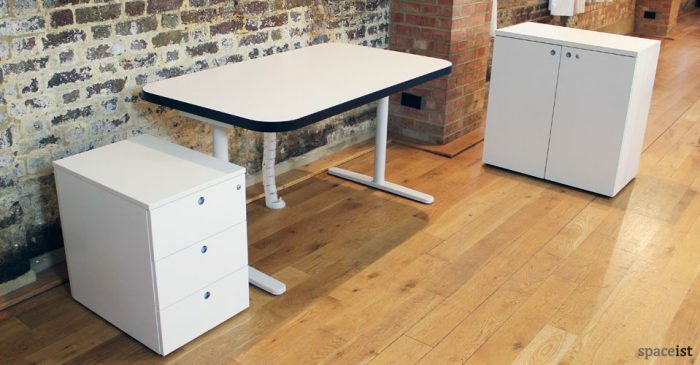 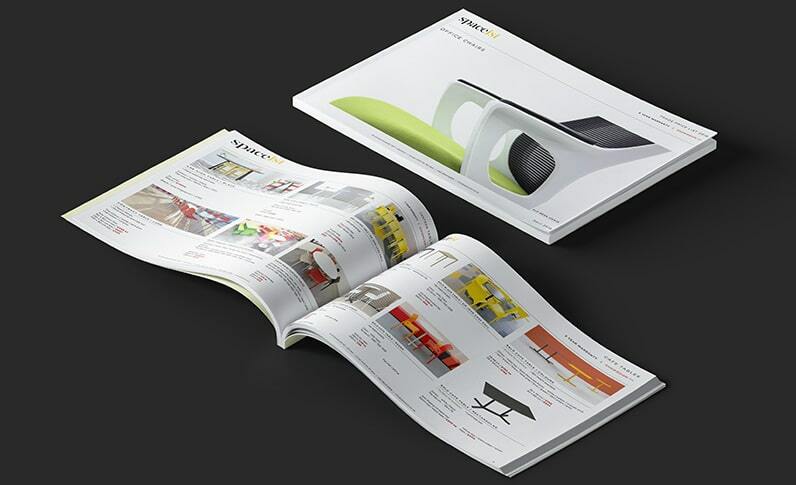 XL features a subtle desktop hinged door cable management system. 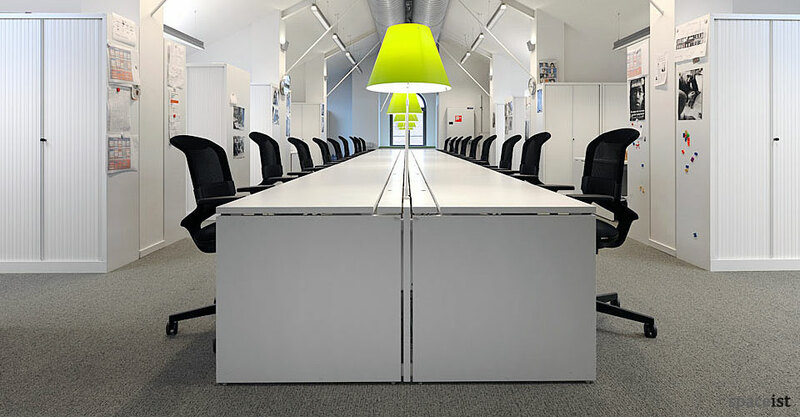 XL works well as double facing desks separated by frosted perspex screen or by solid laminated screens as shown. 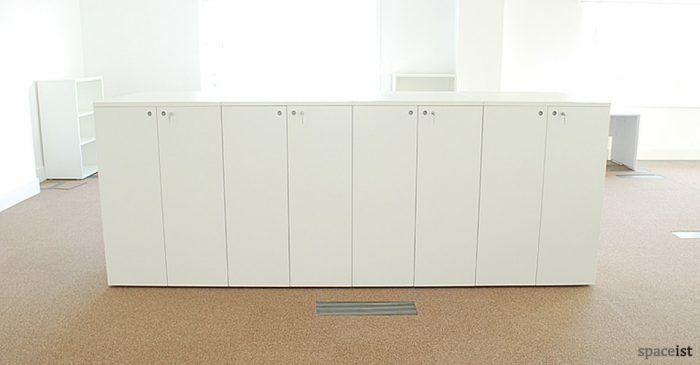 The perspex screen is 30cm high and solid dividing screen is 48cm high, special heights on request.